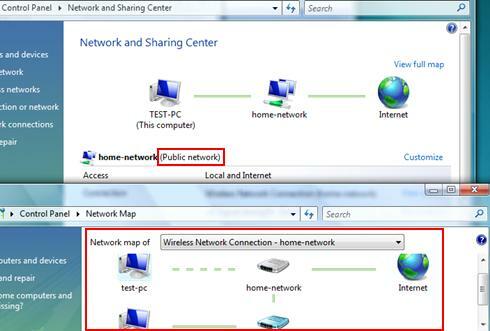 Maybe you have noticed that Vista computer won’t display network map if connecting to Public network or domain joined network even after enabling network discovery feature, it will tell you network map would only be created if network location type is Private (home network, office network). This is the default setting of Windows Vista! Actually there is a way to change it, but please use it with caution as it might jeopardize your computer if get hacked in Public network. 1)Go to Start -> All Programs -> Accessories, then click Run. 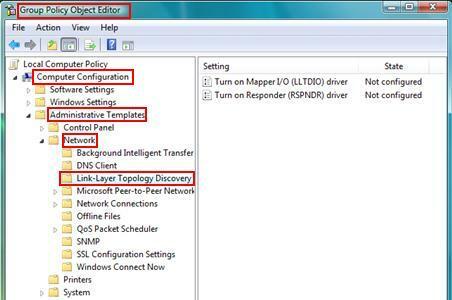 Key in gpedit.msc and click OK.
2) Group Policy Object Editor will appear, go to Computer Configuration -> Administrative Templates -> Network -> Link-Layer Topology Discovery. 3) Right click Turn on Mapper I/O (LLTDIO) driver and click Properties and its window will appear. LLTDIO allows this computer to discover the topology of a network it’s connected to. 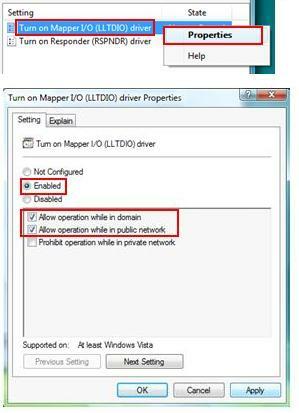 Click Enabled and only tick on Allow operation while in domain and Allow operation while in public network. Click Apply and OK button at last. Note: If you click on Prohibit operation while in private network, you won’t be able to create network map if network location type is private. 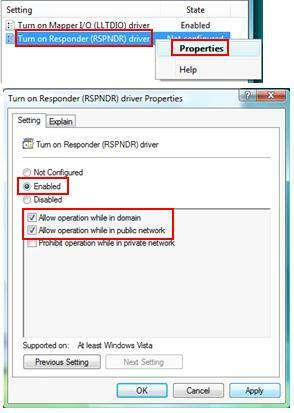 4) Now, right click Turn on Responder (RSPNDR) driver and click Properties and its window will appear. RSPNDR allows this computer to be discovered and located in the network. Click Enabled and only tick on Allow operation while in domain and Allow operation while in public network. Click Apply and OK button at last. Note: If you click on Prohibit operation while in private network, this computer will not be discovered and located if network location type is private. 5) Ok, now change network location type to Public and enable network discovery, then you should be able to create network map. Return to top of “How to Create Network Map in Public Network or Domain Joined Network in Windows Vista”! !